Recently, new mattress brands have been popping up all over the place – it’s a lucrative business after all. Having lots of brands you can choose from as a consumer is great but choosing between them can be a chore – comparing all the details and going through them is a complete bore. 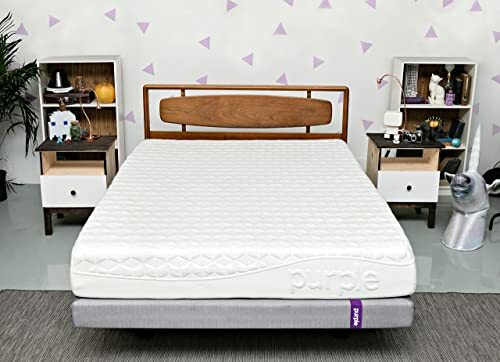 In this article, I will make that much easier for you – it’s a direct and detailed comparison between two great mattress brands, Purple and Casper. A showdown between a plucky upstart and a well-known hardy veteran! Before you get into the nitty-gritty of the mattresses themselves, here’s a bit of useful info on the companies, in case you haven’t heard about them by now. Originating from a successful Kickstarter campaign, Purple was founded in 2015 but didn’t start selling mattresses until 2016. Since then, this plucky underdog has undergone a meteoric rise to the top of the mattress industry with their unique products, offering features that no other company does. It is a completely USA-based company founded by two brothers and based in Utah. Their products have been a roaring success, and the company is valued at over a billion dollars already. This company was founded in 2014, and it quickly set its sights on making itself a household name in the mattress industry. For the most part, they managed to achieve that goal and they did it by making high-quality, affordable products. Since their founding, they have received numerous awards for the top quality of their mattresses. Until recently they were an exclusively USA-based company, but they have started expanding north into Canada in recent years. They still manufacture mostly in the US. Here’s a quick comparison of the two brands – for more details, just keep reading. If you want to buy a mattress, you first need to look at the essentials, the basics. You should know what the mattress is made of and how it all fits together to get a good idea of how it will perform in your bed. Here’s how these two mattresses compare. The Purple mattress consists of three layers and is 9.5 inches thick in total. The first layer is 2 inches thick, and it is made out of hyper-elastic polymer. It’s this layer which makes the purple mattress so unique. The polymer used for this layer is a pressure-releasing material patented by the owners of the company and is organized like a grid. The design ensures free airflow and cooling, preventing the trapping of moisture – at the same time, the material provides great spine support and pressure relief. The middle layer is a bit less special – it’s made out of 3.5 inches of polyurethane foam, intended for support and compression for heavier sleepers. The bottom layer consists of 4 inches of polyurethane foam, serving as the foundation. This is a highly breathable and cool mattress that’s great for back sleepers and provides good support overall, though the grid design of the top layer will not be favorable to heavier sleepers. The Casper mattress is 9.5 inches thick and made out of four distinct layers of foam. The first layer is made out of sturdy, responsive polymer foam that has a decent bounce and ventilation, providing good comfort. It’s a total of 1.5 inches thick, which is a bit too thin. The second layer is 1.5 inches of memory foam, preventing any heat retention issues that might arise. It is what gives the mattress good support, especially for heavier sleepers whose weight flattens the first layer. The third layer is made out of poly foam that’s 1.5 inches thick and serves as a transition between the supporting layer and the base layer. The fourth, bottom layer is 5 inches thick and made out of dense support foam, serving as the sturdy base of the mattress. This is a firm mattress with great support for heavier sleepers, but the top layer is a bit too thin leading to heat retention and breathability issues. It is not flimsy, but the top layers are not quite durable either. The firmness is something that makes or breaks a mattress for me and most people. You won’t want to sleep on it if it’s too hard or too soft for you and everyone has different preferences. If you’re wondering how firm these two mattresses are, you’re about to find out! On a 1 to 10 scale of firmness, 1 being soft as a cloud and 10 being hard as a rock, the Purple mattress falls somewhere in-between, at 6 to 6.5. It can be comfortably described as a medium-firm mattress. This kind of firmness will feel satisfactory to most sleepers, though the heavier among you, those weighing more than 200 pounds, will feel that it is not supportive enough. This is more due to the construction than the overall firmness, but it’s still worth noting that heavier sleepers will feel like it’s more of a 4 on the firmness scale. However, no matter how heavy you are you won’t sink too much. This can be either a downside or an upside, depending on how much you like the feeling of your mattress enveloping you. The supportiveness of this mattress is the best for back sleepers, due to the material used for the top layer being especially good for your spine. The edge support is bad though, much worse than average, so watch out. The Casper is also a medium-firm mattress, but it falls a bit higher on the scale than Purple does, landing at somewhere around 7. This will feel good for most sleepers, though some might feel that it’s a bit too firm for their liking. 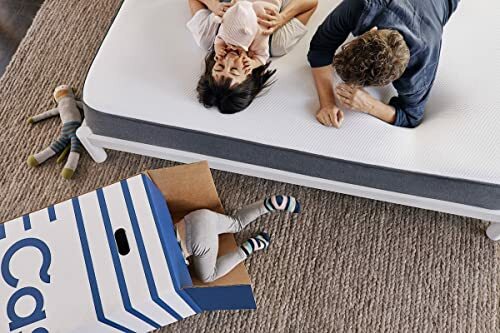 As far as support goes, this mattress is more than decent, especially for heavier sleepers – they will feel like they got their money’s worth. The mattress will feel great and completely supportive. Those who sleep on their side, thus putting more pressure on a smaller area, will also like it. Regardless of your weight, you will sink more than average with a Casper mattress. If you like that sort of thing, this is the mattress for you. While this mattress does lack good edge support, it’s still better in this regard than the Purple mattress, so that’s an upside, even though it’s not something to brag about. There are many different aspects that determine how comfortable a mattress is – sinkage, motion transfer, softness, breathability and more. You’ll find out about that here. This mattress has one edge over most others – the incredible breathability. The top layer of this mattress is like a grid full of square holes, allowing for free air flow. This means that the heat retention of the mattress is almost non-existent, and it doesn’t absorb much moisture either. If you tend to ‘sleep hot,’ this mattress will be a lifesaver during sweltering summers. Another aspect that makes this mattress comfortable is the great reduction of motion transfer. If you’re sleeping on this mattress with a partner, you are not going to wake them up when you go for a nighttime snack. This mattress is also exceptionally bouncy, so if you like to bounce around on your bed for whatever reason – you’re in luck. The edge support of this mattress is quite poor though, that’s a sore spot when it comes to comfort, so don’t fall asleep near the edge – you’ll fall off. If you’re a heavier person, you might also find it a bit uncomfortable. The Casper mattress is not as bouncy as the Purple product, but it is still bouncier than the average mattress, and it will serve you well enough. It’s also decently breathable but, again, not nearly as much as its competitor. It has one significant edge over it though – better edge support. It’s still not great, and you shouldn’t sleep on the edge, but it is a bit better. It’s also much better for heavier sleepers, and it will feel great for such people. 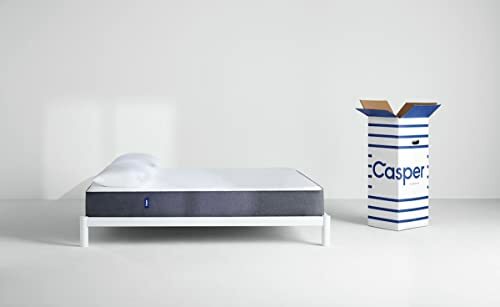 If you like feeling like you’re sinking into your mattress, Casper has you covered there as well, but that’s a matter of taste in the end. The motion transfer reduction is not quite as good, though. If you’re sleeping on it with someone else, expect to wake them up. No matter how good you think, the product is, if the company you have to buy it from treats their customers like garbage, you’re not going to want to deal with them. So, here’s what kind of experience you can expect from these two companies. 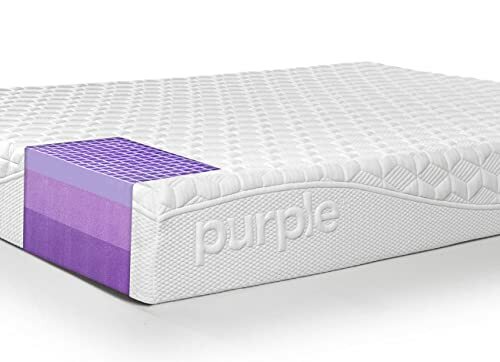 Like a lot of other companies, Purple offers a trial period lasting 100 days – during that time you can return the mattress for free. You also get a 10-year warranty if you do keep the mattress you bought. If you do decide to return it, they will donate it to a charity of your choosing or send it to a recycling center you pick. The mattress cover, curiously, is under a separate warranty that lasts for only 2 years, so be careful about that. Also, if you choose to use that warranty, you’re responsible for all the shipping costs. The shipping situation is decent – they offer free shipping to 48 states, excluding Alaska and Hawaii, who need to pay a shipping fee. You can also order from Canada, and you need to pay to ship in that case too. They offer no setup services or anything similar, and no white-glove delivery. They respond to any customer questions quite rapidly, though, and you can arrange any special shipping conditions with them. As long as you pay enough for what you’re asking, they’ll do it. Casper has great delivery conditions, and they can deliver your mattress to you within 2 to 3 days anywhere in the USA, for free – even Alaska and Hawaii. They can also set it up for you, which also costs nothing. However, the setup service is not available everywhere, so check if you can get it. The shipping, though, is available even in Canada and you can also get one-day shipping if you’re eligible and you pay. The trial period lasts for 100 days and returning the mattress during that time is free of charge, they will even arrive at your house to pick it up for you. You get a complete refund, and they donate the mattress to charity or recycle it. Their mattresses also come with a warranty lasting 10 years, so you are covered either way. If you choose to invoke the warranty, you don’t have to pay for sending the mattress to Casper, but if you want it back after the repair, you will need to pay the shipping. Overall, they’re great. They even have incredibly responsive social media and support teams that will answer your questions quickly. If you don’t have the cash for it, you can’t buy it; it’s as simple as that. I’ve researched the prices of both brands thoroughly (it’s easy – just check the prices on their websites) and compared them. Overall, Purple is a bit more expensive than Casper, especially if you’re buying a King/Cal King mattress. Casper and Purple also offer frequent discounts and coupons, so you can get quite a better deal if you buy at the right time. You sleep hot, and you need a mattress that will be breathable enough to keep you cool. If you or your partner get up a lot during the night. You like your mattress to be a bit bouncier. You want a slightly softer mattress. If you’re a heavier person and you want a mattress that can support your weight. You want a softer mattress that you can sink into. You’re a bit short on money, and you want a better deal. You need a slightly firmer mattress. So, there you have it, that’s the basic gist of it and the major differences and similarities between these two brands. Neither of them is strictly better than the other, at least not overall and which one you’ll get largely depends on what you want from your mattress. But now, you hopefully know enough to choose the right one. If you have any further questions, just ask them down below in the comments before you get a good night’s sleep on your new mattress.